Want something to bring costumers to your business? 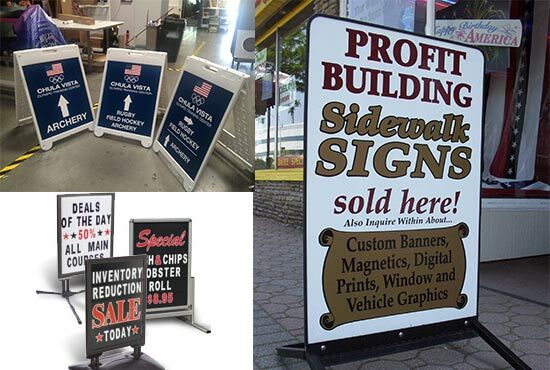 Sidewalk signs can display posters, chalkboard messages or changeable letters. These signs are available in a wide variety of styles and sizes. Miami Banners & Signs Inc. wants to help you make the appropriate sign for your business. Our experts want to sit with you to choose the exact style that fits you. Contact us today to speak to one of our experts.